This member of the Borage family is not common in Bulgaria but we found this specimen flowering in the foothills of the Rhodopi Mountains. 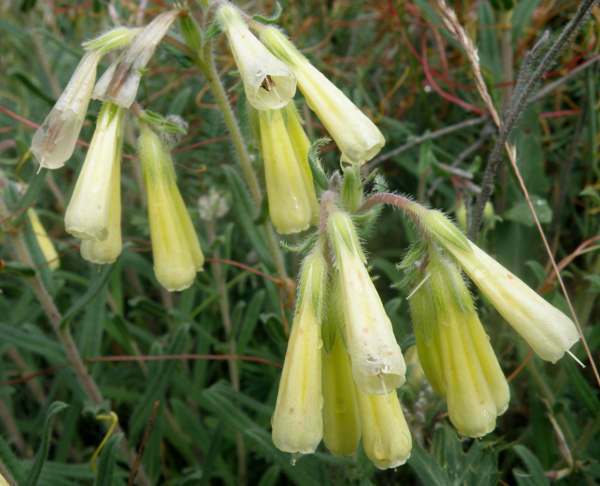 It is a large, sprawling plant with pale cream-to-yellow tubular, nodding flowers. 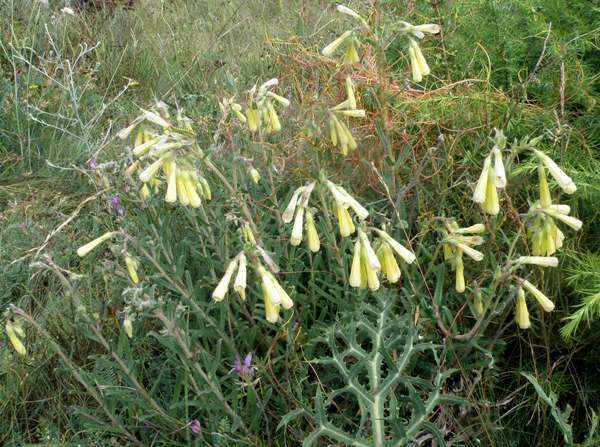 Although we found this in a meadow the plant is more frequently found in dry, rocky and stony areas of Europe and Western Asia. The specimens shown on this page were photographed in the foothills of the Rhodopi Mountains of Bulgaria in mid June.